Shakespeare’s Henry V is one of his historical plays about the life of King Henry V of England, particularly covering his role in the Hundred Years War (1337-1453) between France and England. When Henry was king, it was common for kings to lead their troops into battle. In the passage below, Henry encourages his troops to fight during the siege of Harfleur, a town in France. 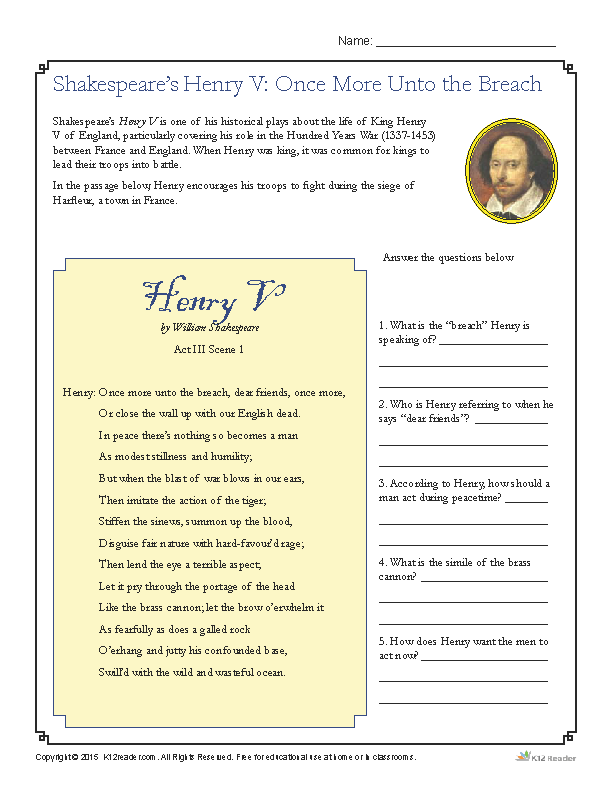 In this activity, students read from Act III Scene 1 and answer related questions.